Just in time for summer, sun, camping, hiking and road trips comes Salt Lake City’s own folk/indie five-piece Cinders, who have recently released this 12-track, self-titled album. 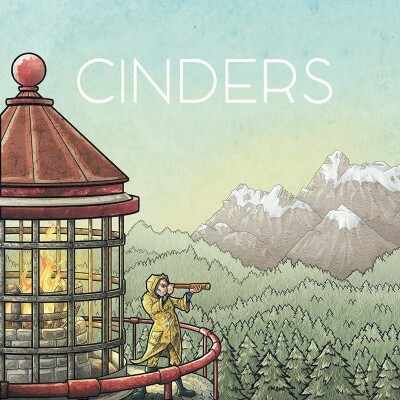 Cinders is constant, feel-good energy from start to finish. The album really gave me the feeling of wanting to stand up and dance, no matter how many times I listened through it. After doing a bit more research on the band, it’s easy to tell that this good-vibes feel is not just a gimmick of their genre but is ingrained into everything these guys do. The album kicks off with the pure energy of heartbeat-pumping percussion and dance-inducing strumming harmonies on “Dog Heart” and closes out with “I Could Do Better,” which is a bit more soothing and calm compared to the rest of the album. It’s still a fun track that really sends the album off. Their fun-loving presence isn’t only exclusive to their music, either: Cinders have recently released their first music video, accompanying the release of the album, for the song “Like A Holiday.” The video, much like the song, is full of good vibes as different collections of people play in place of or alongside the band, jumping around and rocking out in a true, high-school talent show setting almost reminiscent of the Red Hot Chili Peppers’ “Tell Me Baby” video. The collaboration between each member’s unique music styles fuels the sound of Cinders.